Here we are again at the end of spring and the beginning of summer and everything is about to change. Forget what I have been telling you for the last 6 months about 15+ mph winds being ideal. 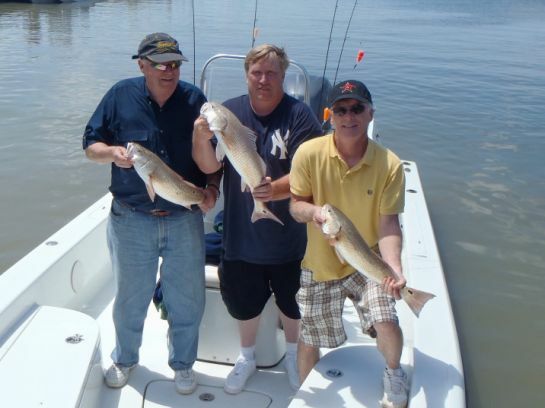 Summer fishing typically occurs over open water reefs and are best with light winds and trout green waters. 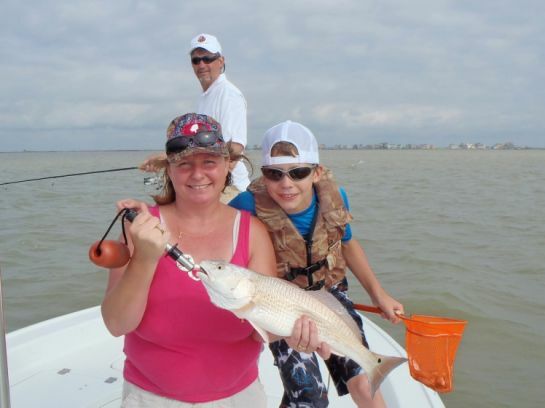 In the next week or so the windier days of spring will give way to a calmer summer that brings in 8-12 mph winds and that will be the ideal fishing conditions for the foreseeable future. By the end of May fishing is going to absolutely bust loose and be on fire. Once we get 2 or 3 days of fine weather and that water greens up it will offer plenty of opportunities to catch fish all over the southern portion of the bay system. Expect areas like East Bay, the Dollar Point area, Texas City Dike, and Lower Galveston Bay to really shine this month. There are already birds working hard in some of these areas. Drifting open water reefs throwing plastics and live shrimp will be best for a few weeks but that croaker bite isn't too far away. 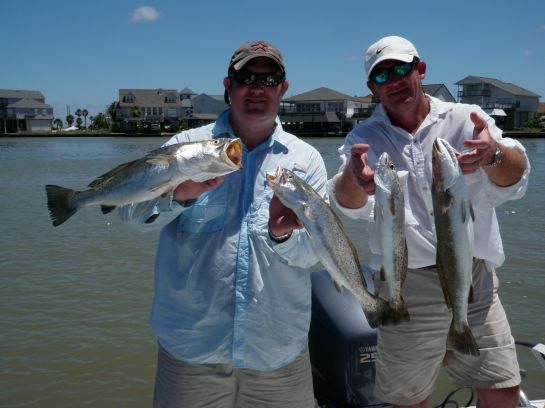 Artificials are catching most of the trout under the birds and you have to work hard for a few keepers. Live shrimp seems to catch mostly catfish so save that bait and stick to artificials. Look for afternoon outgoing tides to be best for finding birds and for the most consistent bird activity throughout month. Keep that trolling motor in the water and the big motor off if you want to stay on top of them and not spook them. Chasing birds is an art form and if done correctly can be quite productive. 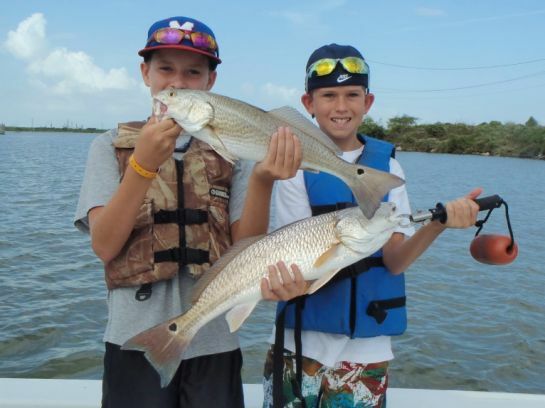 Look for riprap and structure for redfish. Fishing close up to the rocks or structure of some sort will be where the reds are and a popping cork and shrimp is the deadliest combination for this type of fishing. Anything that forms a boundary is considered structure like a small shell island or a grassy shoreline or even an underwater point. I like to approach these areas by drifting through and covering water. No matter if you are fishing riprap or the jetties don't wait for the fish to come to you. Move around if you have to and find them. Don't forget to use a shorter leader when throwing up against the rocks to keep from snagging up. And target the points first on any structure you decide to hit. Looks like we are on the verge of another fantastic fishing summer! Be safe out there and take a kid fishing! !